The UK experiences shockingly low employee engagement levels, which is impacting productivity, worker morale, and staff turnover levels nationwide. Many businesses overlook this fact however both employer and employee suffer the consequences of this. Only around one-third of British employees say that they’re engaged with their work, and 66% of millennials feel they’ve chosen the wrong career. We spend much of our time at our jobs, but often forget how important it is to have a healthy and rewarding workplace! A healthy a productive workplace makes a huge difference in our lives every day and is far more achievable than we often think. This infographic from Mad Max Adventures illustrates the benefits of looking after employee mental health and wellbeing for businesses. Employee disengagement costs the UK economy £340billion annually, not to mention the impact poor employee engagement can have on mental health. But what exactly is employee engagement? An employee is engaged if they’re enthusiastic about their work, committed to their job, and satisfied with their role. 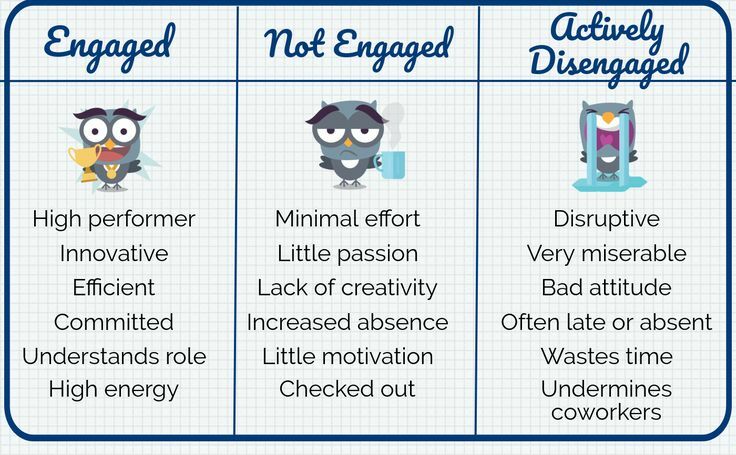 An engaged employee is more productive, innovative and far less likely to leave. These employees understand their role and experience higher energy levels. At the furthest end of the scale, you end up with actively disengaged employees who hate their jobs so much they’ll be openly disruptive and undermine their colleagues. They have a bad attitude are often late or absent. These employees cost businesses the most. Clearly, there’s a lot to be gained from improving employee engagement levels. Businesses with engaged employees are more productive, earn higher profits, and have lower staff turnover (saving plenty of money on hiring procedures.) If a business wants to be successful, your employees need to be onboard. If you’re unhappy at work, show your boss these staggering stats and they’ll be sure to come around. And if you’re a boss worried your employees are becoming disengaged, don’t worry – not all is lost! It’s possible to re-engage employees and reap the awesome benefits of true employee engagement. Between team building activities and implementing new management techniques, even actively disengaged employees can become happy, high energy and high performing assets to your team. Mad Max created this infographic to share some top tips for engaging your employees so that they’ll be happier and more productive. Some of the best ways to get staff motivated are to invest in them by offering training, creating a positive company culture, helping them achieve the work-life balance and managing them effectively. More on staff training and motivate your staff.